I'll be honest. Winter is not my favorite season. I don't like wearing two sweatshirts because it's cold, I hate digging my car out of the snow, and wet socks are not my friend. So the idea of a winter wedding absolutely never was an option for me. And then I absolutely fell in love with this gorgeous (and very cozy and warm looking) winter wedding dress. And then I found this Christmas ornament guest book idea and my dream of a winter wedding was born ... just too bad it was after we were already married. So while I'm not planning a real winter wedding right now, I had to make winter weddings the focus of this wedding favor post. 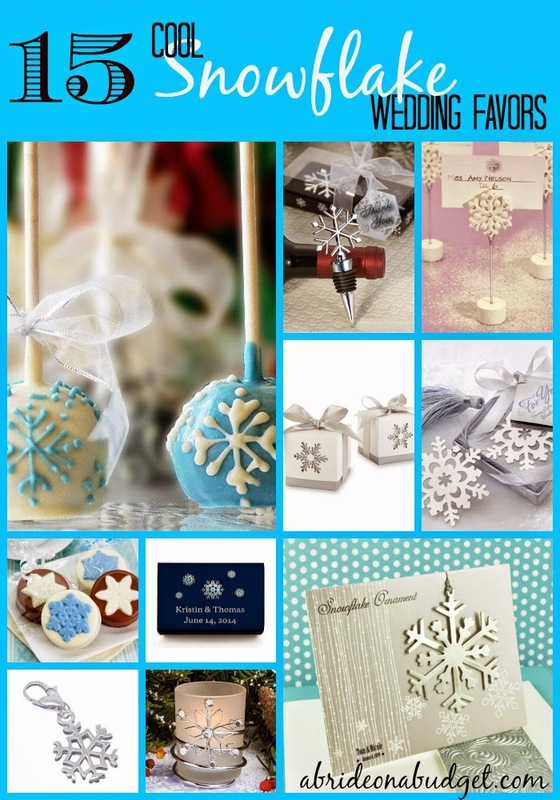 I put together a list of 15 Cool Snowflake Wedding Favors. Cool. Yes. I went there. I'm a huge fan of using place card holders as a favor. A first, it seems like a strange idea. 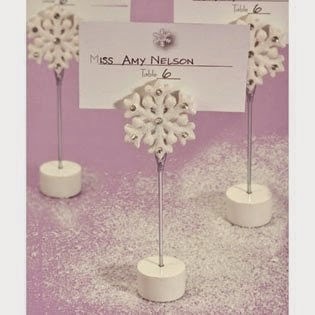 Who would want a Snowflake Place Card Holder as a favor? But really, everyone should want one. After the wedding, these are actually really great photo holders. And what a great way to remember someone's wedding by actually using their favor. Plus, since every couple will be bringing these to their table, it will actually decorate the table for you so there's less you'll actually have to do. 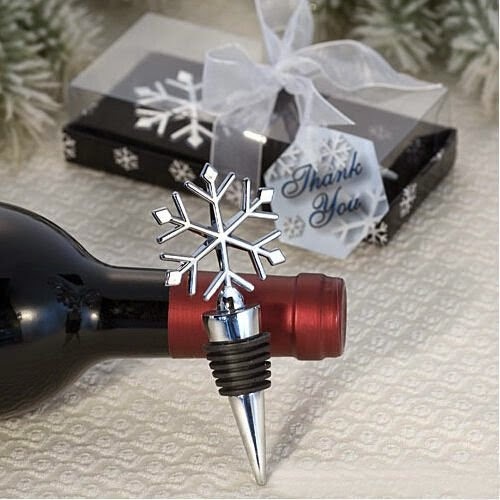 When I first thought of snowflake favors, I immediately thought of Snowflake Wine Bottle Stoppers. We have a few wine bottle stoppers from various weddings, so this is a really good favor idea. We have a decanter (the one we got free, thanks to registry rewards), but every so often, we'll use the wine bottle stoppers instead. They're good to have around and great to give as favors (because I don't know anyone who has been in a store and actually purchased one of these for themselves). 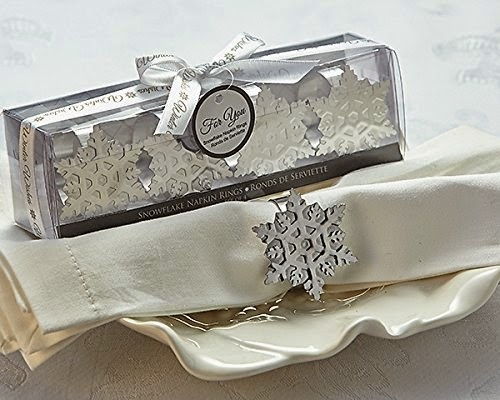 I absolutely love these Snowflake Napkin Holders. They're just so pretty and will really pop on satin napkins. Because of that, you'll want to use them during the wedding. 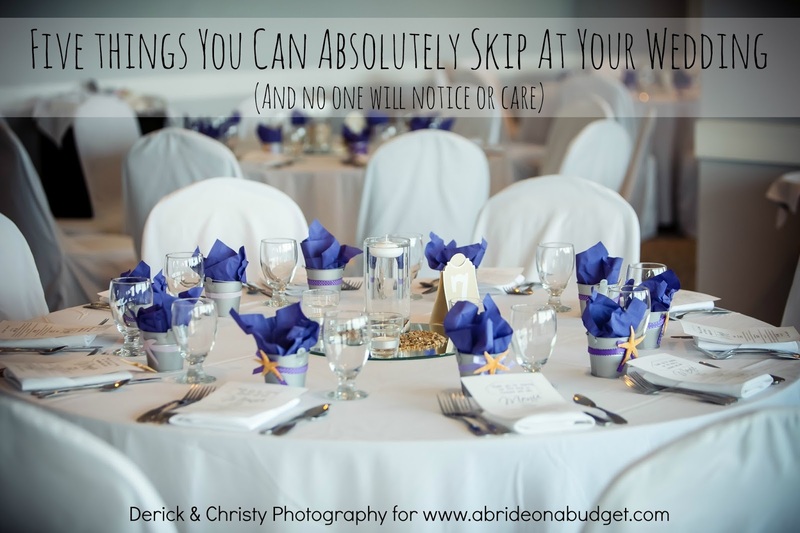 That involves quite a bit of set up that you won't personally be doing because you have other things to worry about before your wedding reception. Be sure to let your venue or coordinator know that you want to use these as napkin holders instead of just having them plopped at each seat. If you do that, your guests might confuse this with extra large costume jewelry. 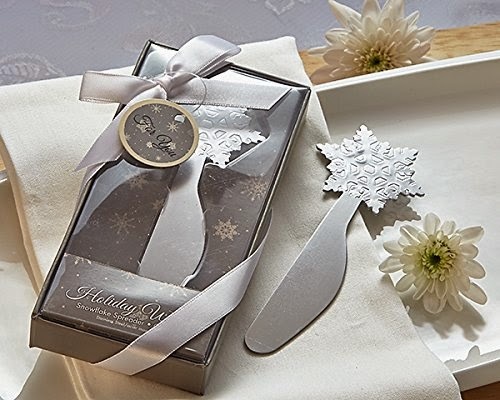 If you love reading, Snowflake Bookmarks are a great way to incorporate that into your winter wedding. Plus, bookmarks are just really useful. I know, I know, in a world where Kindles are so popular, you might think bookmarks are a dying favor, but you would be wrong. There's still something fantastic about actually holding a book in your hand. Plus, these snowflake bookmarks just sparkle. Who doesn't love that? I don't know any woman who doesn't have a Pandora bracelet. I actually have two of them. And a couple Alex & Ani bracelets. And I had a Nomination bracelet too (I guess, if I'm being honestly, I still have it but I don't wear it anymore. It started pinching my skin too much). 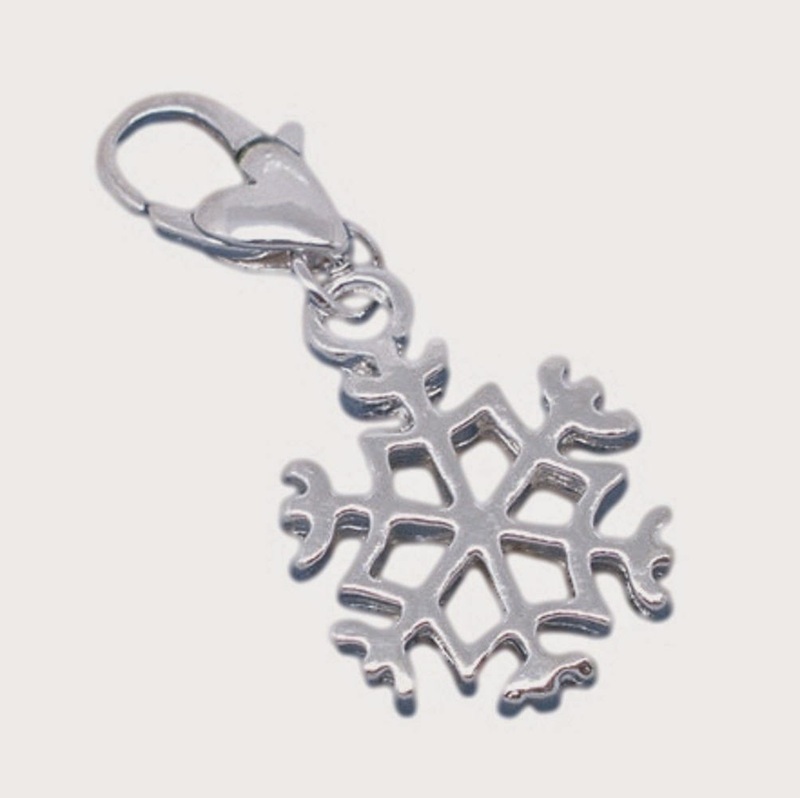 If you're looking for a bridesmaids thank you, check out these Snowflake Charms. You'll need to pick up a charm bracelet or necklace too, but these are a really cute way for your girls to remember your wedding -- plus a lot of brides give their bridesmaids jewelry to wear on the wedding day, so this is a nice way to tie your theme into that. If you've been to our apartment, you know that we have a bunch of candles around. 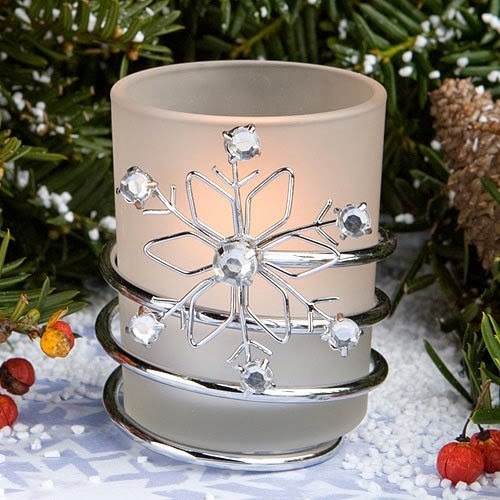 So if you're having a winter wedding and I'm invited, you should definitely have these Snowflake Votives as your wedding favors. What makes them really worth it is that a tea light actually comes with the votive holder so that saves you some money. I love wedding favors that are functional. That sort of ensures that your guests will use them. This Snowflake Cheese Spreader will definitely get used. Everyone I know who hosts Christmas has a cheese plate of some sort. A coordinating cheese spreader is a great thing to bring out for parties -- and a great match for your winter wedding. We have a lot of stuff and sometimes, I feel like we just don't need anything that's not disposable. We need food because we need to eat, but we don't need any more books. There are a few books I want to read, but if I can't find them in the library, they're not coming into this apartment. Soap. We can use soap. So that's probably why I really, really like this snowflake soap. It's cute, functional, and disposable. Everything I want right now. Any winter wedding that happens pre-Christmas (is probably a fall wedding, actually ... but, looking past that), you can get away with Christmas ornaments as a wedding favor. These Snowflake Ornaments are perfect. What I actually really love is that they are so thin so they can fit in a jacket pocket or a woman's clutch. 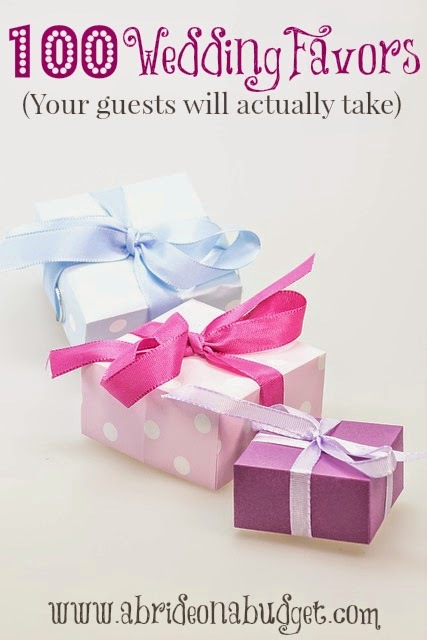 That way, your guests will actually remember to take their favors with them. You can also print your names and wedding date on a clear label and affix it to the accompanying card, making these easy to personalize. Pete is a big fan of brownies, so these Snowflake Brownie Pops would probably be his favorite favor on the list.You can get them in five different flavors (including Nutella), sixteen designs, and five ribbon colors. The two snowflake designs in the photo are actually exclusive to Beau-Coup, which is sorta cool. 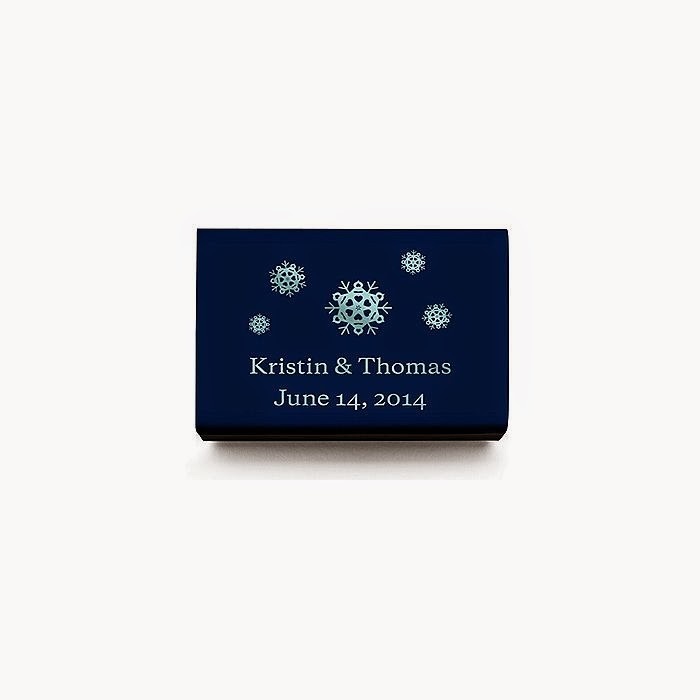 It means there's less of a chance that anyone else with a winter wedding will be choosing the same snowflake favors as you. 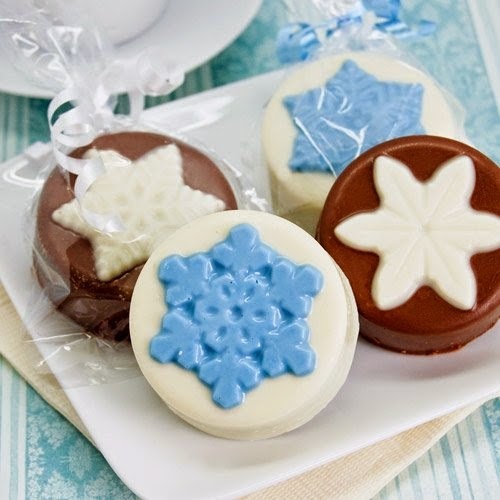 Keeping with edible favors, check out these Snowflake Chocolate-Dipped Oreo Cookies. You can get them in either white chocolate with a blue snowflake or milk chocolate with a white snowflake. I've actually had these (but the Halloween version) and it's a delicious, but heavy, bite. So yes, it might look like one chocolate-dipped Oreo cookie isn't enough. But trust me. It definitely is. And I'm a chocoholic so you really can trust me on this one. If you've been around here a while, you know I'm a sucker for a good play on words. I love a good pun. So Snowflake Matches because you're a perfect match? Yup. I love it. I actually wanted to make personalized matches for our wedding because I really just love this play on words so much, but we were already doing so much so it had to get cut (and so did my personalized drink koozies, which I'm still bummed about). 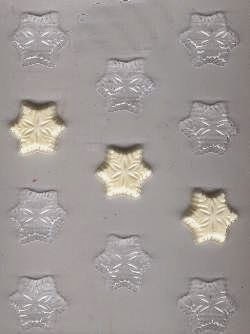 If you want to be hands on with your favors, think about making snowflake chocolates with this snowflake mold. You'll also need a few bags of bright white candy melts to make these, but it's sure a lot cheaper to make these instead of buying them from the store. 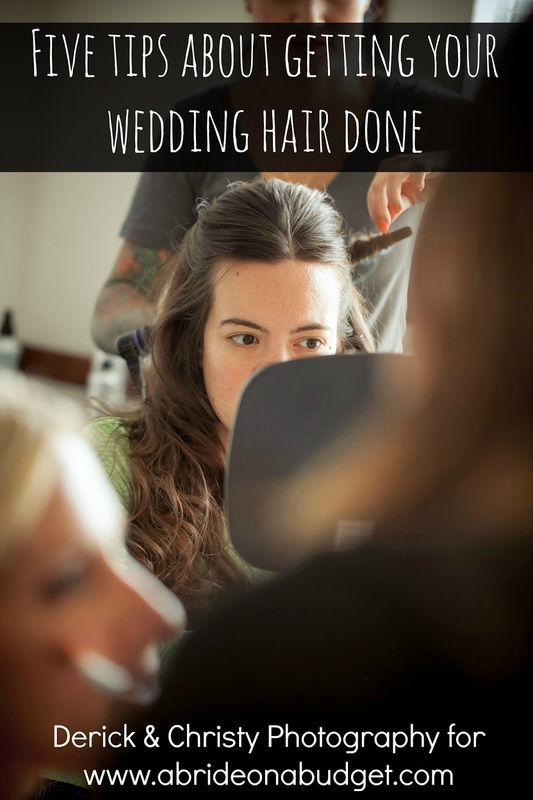 They will take time, though, so you might want to assign this to a bridesmaid who is looking to help. If you don't want chocolate, you can also use these to make bath bombs or crayons. Don't forget about packaging. 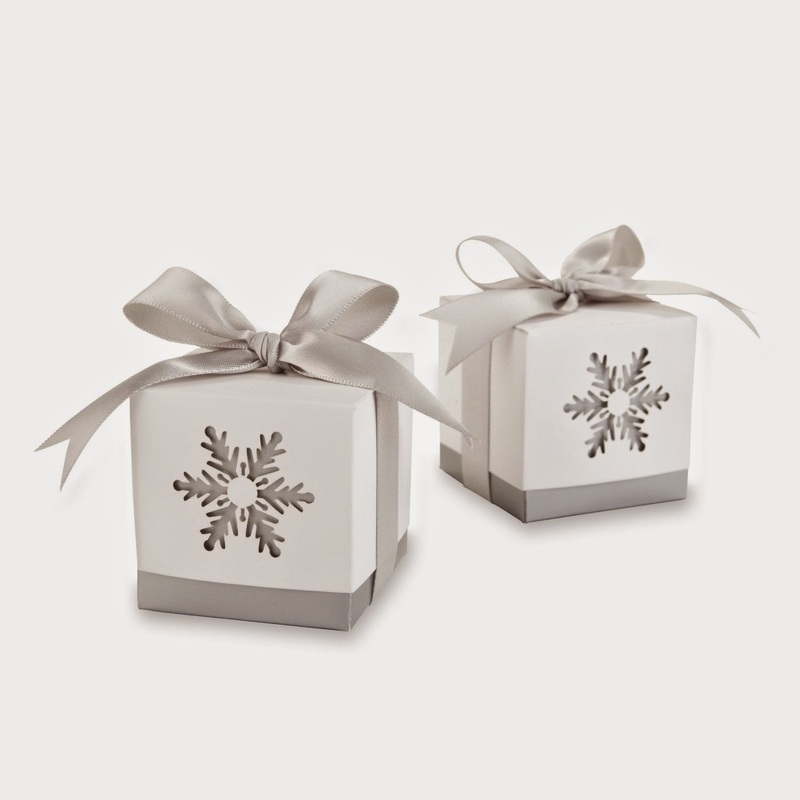 These Snowflake Favor Boxes are really gorgeous. Plus, they're white and silver so they'll match your colors no matter what you pick. You can fill them with anything you want. Since the items will be completely hidden inside, they don't have to be snowflake themed. Personally, I would go with Hershey's Kisses, but you can choose your favorite chocolates. If you love wine, check out these Snowflake Wine Glasses. You can personalize them with two lines of text. I just love that they are really functional. And I can't even tell you how many wine glasses we have from different weddings, so this is really a favor your guests will take. 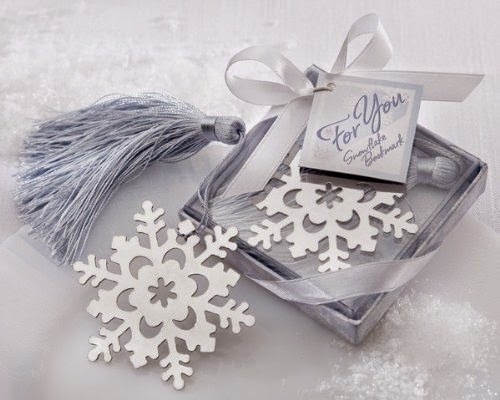 BRIDAL BABBLE: Which of these cute snowflake wedding favors is your favorite? I like the votive candles and the photo holders best. Would get re-used. There are so many options available for any theme imaginable. The bad part is that once you buy all the decorations the bride will decide she wants a different theme. 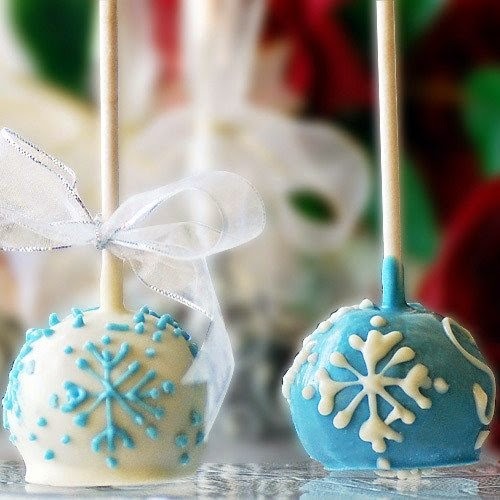 Snowflake brownie pops are my favorite! I can't believe you have been married 7 months already! You will have to do something special for your 1-year anniversary maybe. I think that these are all great! I like the snowflakes votive the most! 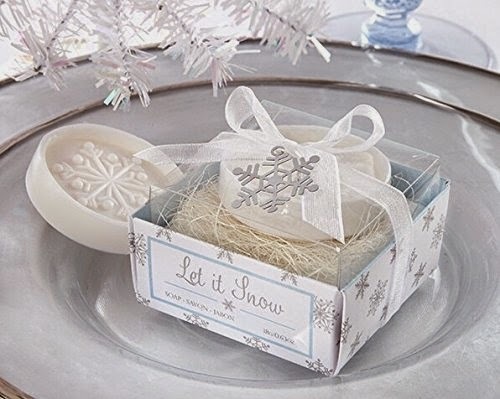 These are all great ideas for snowflake wedding favors, my favorite is the snowflake soap. These are so cute! If I had gotten married during the Winter season, I would have definitely used some of these! Especially the brownie snowflake pops! How cute are they!! I got married in the Spring and my colors were ivory(white), yellow, and pink! We ended up having pink and white cake pops! Speaking of snowflakes, I've been seeing a lot of businesses going old school and decorating their windows with snowflake cut-outs. I think that Snowflake Wine Bottle Stopper is too cute. A lot of these would be great for a Frozen party. I really like the Snowflake favor ideas. :) Really nice and elegant. Spring and summer are my favorite times of the year but you gave some really great winter favor ideas. What a nice article - I like the Snowflake Ornament best. Very nice! I love these ideas! 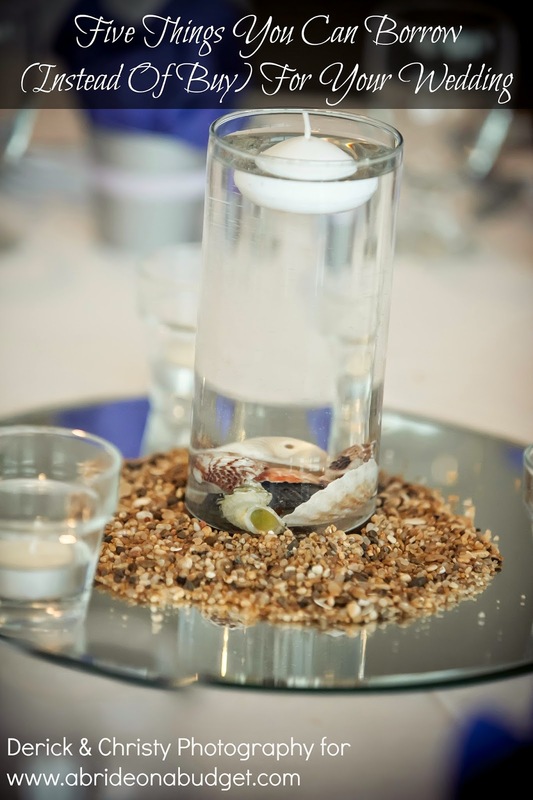 Great article - I esp love the napkin rings & the cheese spreader! and FYI - you have NOW met a woman who does NOT own a Pandora bracelet!! We had cake pops for the kids at our wedding. I totally would have chosen the snowflake brownie pops if I had the chance.